It is hard to escape advertisements for detox diets and juice cleanses, especially following periods of indulgence like Christmas, or in preparation for a summer beach holiday. The reason why these detox plans are so popular is that people are often desperate for a quick fix, and companies are ready to exploit this commercially. These diets are often advertised as a quick-and-simple way to lose weight that ‘cleanses’ the body of toxins. Rather than focusing on healthy eating, they will likely consist of no more than drinking fruit juice or taking supplements for a 7-day period (or longer). It’s not that these diets don’t work for weight loss. They will work. However, what we’d strongly argue is that they are the wrong way of losing weight. Plus, the weight you lose will not stay off. If you’re only drinking juices (or taking supplements), you will be consuming a lower amount of total calories. Your body will also go into fasting mode for extended periods of the day. You are reducing your intake of high-calorie foods with little nutritional value such as ultra-processed foods and alcohol. While they may result in rapid weight loss in the short term, these diets are not helpful when we look at the bigger picture of our long term health. Arguably, the biggest problem with extended detox diets is that you lose muscle mass. The lack of protein contained in fruit and vegetable juices will cause your muscles to waste away. So, while you’ve lost overall weight, you’ve also lost muscle mass (which is bad). This will reduce your longer-term metabolism, meaning that you will burn fewer calories at rest. The goal of weight loss is to reduce body fat while maintaining muscle levels. This is achieved by ensuring you are consuming a portion of protein at main meals and doing a variety of resistance exercises. 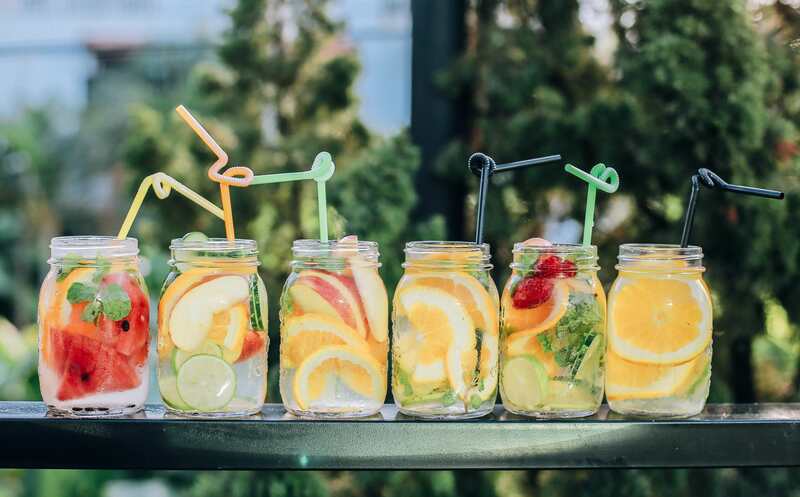 In a review published by the British Association for Dietetics, it was highlighted that there is no clinical evidence supporting the efficacy of detox or juice cleanses for long-term weight loss. However, there is data suggesting that when we dramatically reduce our energy intake (as we would in a juice detox diet), our body adapts to try and conserve energy. As a result, we experience a compensatory increase in appetite and a decrease in energy expenditure. This often leads to a plateau in weight loss following very restrictive diet plans and even subsequent weight gain when you return to normal eating patterns. There is little to say about the ‘detoxifying’ effects of detox/ juice cleanse diets as there is no scientific evidence supporting the need for a detox diet to eliminate toxins. This doesn’t make biological sense. The human body has very complex systems that take care of any detoxing. These include the kidneys, liver, digestive system, immune system, lungs and even skin. If there were toxins left floating around our body that weren’t being removed by these systems, we would feel extremely unwell and most likely be hospitalised. Detox diets set you up with the wrong attitudes and behaviours about weight loss. Living an unhealthy lifestyle for the majority of the year and then trying to fix this with spontaneous detox diets is not a healthy or sustainable approach. If you buy detox or juice diets from a company, they are expensive. You are unnecessarily wasting your money. Fruit-based juices are very high in sugar and low in fibre. Juice cleanses also provide no protein or fats. These facts combined means that your body will break down the sugars extremely quickly, leaving you feeling hungry, moody, and finding it hard to concentrate. This makes juice cleanses difficult to follow and means you feel terrible during the cleanse. Maintaining a balanced and varied diet ensures that you won’t be deficient in vitamins. It is unnecessary to do a juice cleanse with the rationale that you are loading up on vitamins. Water-soluble vitamins are actually excreted in the urine when consumed in excessive amounts and increasing your intake won’t provide any additional health benefits. Detox diets and juice cleanses promote reducing/eliminating ultra-processed foods as well as alcohol for a period of time, which is obviously a healthy move. You can reduce unhealthy, processed foods without going to the extreme of a 7-day detox diet. As a healthy alternative for weight loss, try focusing on making up your meals from protein, healthy fats and non-starchy vegetables (plus whole grain carbohydrates when you want to add some carbs). If you follow this pattern, you will consume more real, unprocessed food and not need a quick fix. Do you need a hand ditching the fad diets and adopting sustainable lifestyle changes? Give OurPath a go. When you join the programme, you will receive support and advice from your qualified health coach to help you achieve your weight loss goal. Take our health quiz here to find out more!